Everyone is doing round-ups of gift ideas right now, and of course I have throw in my 2 cents. These are TOTALLY random ideas. I have a solid list of tried-and-true board and card games here. My latest love are these zipper bags. 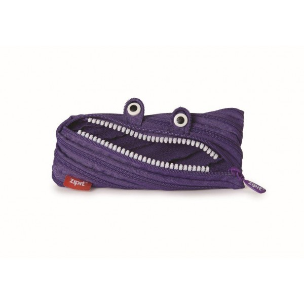 I just bought two zipper monster pencil bags for my friend's kids. The fun thing, aside from how cute they are, is that you can unzip the entire bag into one giant zipper, and then zip it up again. These bags are $10 (I paid $15 at a street fair). They have all different size and color purses and other totes as well (though I admit I bought a purse for my daughter on eBay, though she really wants one of the backpacks). I got my kids a set of math and science books recently that are actually fun. There are 2 kinds of books: 101 Things Everyone Should Know about Science (ages 8-12) and 101 Things Everyone Should Know about Math, (ages 11-15) and the other set: One Minute Mysteries: 65 Short Mysteries you Solve with Math (ages 11-15) and One Minute Mysteries: 65 Short Mysteries you Solve with Science (ages 8-12). These are great for a car or plane ride (or bathroom reading) because you can read a short chunk at at time and you can make it fun for the family to figure out together. My kids have way too many stuffed animals. But ones with germs? Can't get enough of them. Especially since my husband is a scientist and my daughter plan to be a marine biologist. While others may think stuffed cancer cells are creepy (as are pimple, diarrhea, rotavirus, swine flu and dozens of others), they're good teaching tools and would even be a good gift for that special science teacher in your life! This cancer cell from Giant Microbes can be cured, by reversing it and swallowing them up. Get a holiday wreath, stocking box or tree box with tree ornament miniature germs like white blood cells, salmonella, penicillin and dust mites. This 500 piece puzzle just came out from the US Postal Service. The stamps were released in October (you get a sheet of them inside the box) and they feature landscapes as seen from the sky. 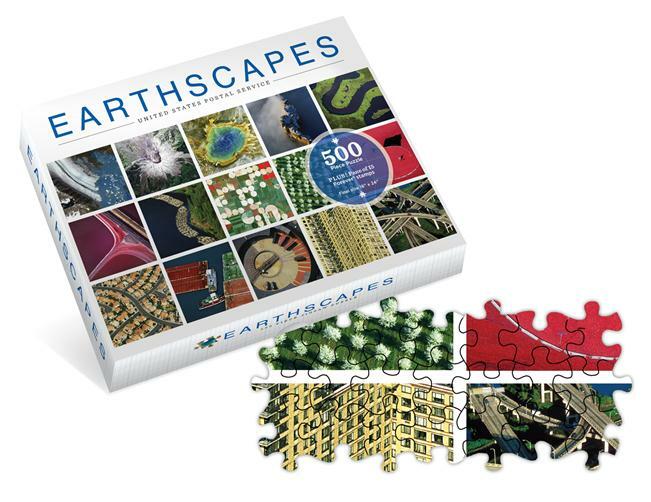 The puzzle is $17.95 and you can get it at your post office or online here. Okay, this one is for adults, to make for kids. 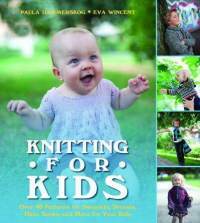 The book Knitting for Kids has 40 patterns for cute kid clothing like sweaters, hats, dresses, vests and more. I need to learn to knit!